OK. Fall is in the air. This morning I couldn’t get enough of the crisp air. Hang on my friends in the Northern Hemisphere….relief is on its way. 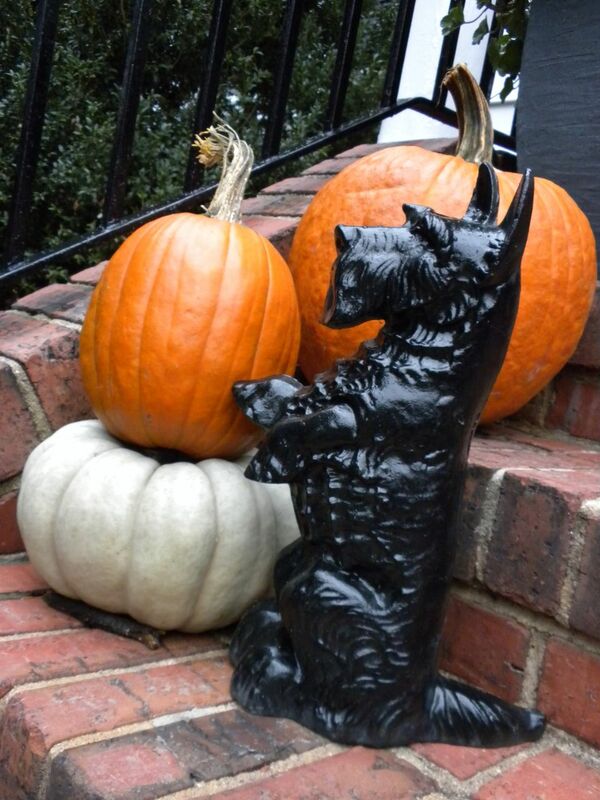 This entry was posted in The Scottie Chronicles and tagged dogs, fall, Scotties, Scottish Terriers, weather. Bookmark the permalink. NOT IN FLORIDA!!! It is still over 90. We had an extraordinarily lovely weekend with temps in the 50’s at night and low 70’s in the day. Today is another good one, just a bit too windy. Love the Fall! We’re glad your silent friend is back to keep us company in the photos. When will we see a current Stuart again? We miss you. It was a lovely weekend wasn’t it? Oh dear. Gotta get some new pics of moi. Thanks for asking! Great idea to have Scottie watching over the pumpkins! We love the fall and seeing the leaves change color, but we don’t like that it gets dark early. Naw, I don’t like short days much myself, but it is nice to be spunky outside! We’re going to stay below 100F today. Our temps are still in the low 90’s but very humid! What is still bad is that our night temps are still too warm to sleep without AC! Please send us some cool, Stu! That sure is a cute likeness of you! OH! We turned off our AC last night too. It was a bit too warm for me. I’m so sensitive.